I’m writing my book, so I don’t have time to write a big thing today, but I wanted to share a little thing I found. I’ve often made claims that not only are we (everyone) collectively very bad at game design, but that large segments of our population do not even know/acknowledge that game design is a discipline all its own, separate from programming, art, or other elements of game development to begin with. 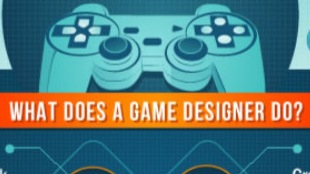 There are actually even university programs with “Game Design” in their titles that actually have nothing to do with game design. Take a look at this nice, horribly wrong infographic I found in my research today. Wowwee!! 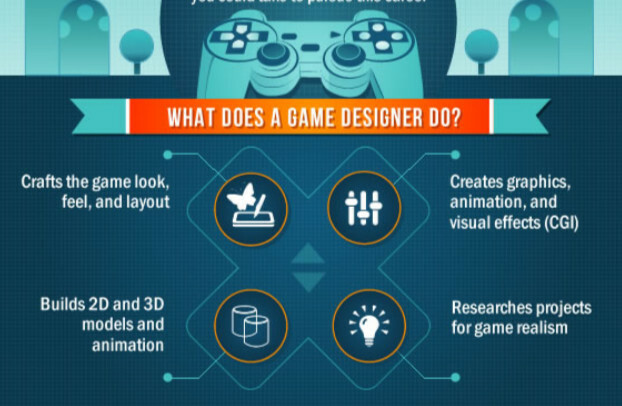 No wonder that infographic looks so nice, they must have had a Game Designer make it. Some really nice Game Design on that infographic, wouldn’t you agree? Obviously, using the word “game design” to refer to “visual art” is stone-cold stupid. There could of course be some room for debate about, well, maybe “game design” should be the term we use to refer to “game development in general” or something, and then we’d come up with some new term for what “game design” currently means – something like “game ruleset design” perhaps. I don’t think we should do that, but I can at least see that maybe there’s room for some disagreement on that. But I also have to point out something about this “Researches projects for game realism” line. That line makes me think that this is not actually just a disagreement about what “game design” should refer to. This document was written by a person who clearly doesn’t even know that “game ruleset design” is a thing. Maybe schools.com is a joke and no one takes it seriously, I don’t know. But based on my experience, this “there is no such thing as a unique discipline called game design” concept is something not at all unique to this one website. It’s one of the many bad ideas that is going to slow us down.